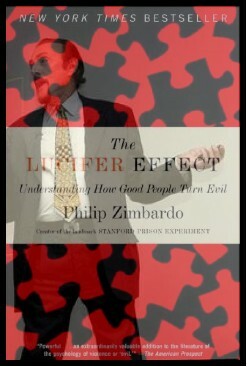 The paperback version of (Situationist contributor) Phil Zimbardo’s bestselling book, The Lucifer Effect, is now available! To mark the event, we’re posting a recent essay, “The Evil Crowd,” by Professor Zimbardo. The uplifting essay explains why knowing the sources of evil may help us to better confront it. Why do good, ordinary people sometimes become perpetrators of evil? The most extreme transformation of this kind is, of course, the story of God’s favorite angel, Lucifer – a story that has set the context for my psychological investigations into lesser human transformations in response to the corrosive influence of powerful situational forces. Such forces exist in many common behavioral contexts, distorting our usual good nature by pushing us to engage in deviant, destructive, or evil behavior. When embedded in new and unfamiliar settings, our habitual ways of thinking, feeling, and acting no longer function to sustain the moral compass that has guided us reliably in the past. Over the past three decades, my research and that of my colleagues has demonstrated the relative ease with which ordinary people can be led to behave in ways that qualify as evil. We have put research participants in experiments where powerful situational forces – anonymity, group pressures, or diffusion of personal responsibility – led them blindly to obey authority and to aggress against innocent others after dehumanizing them. My recent book The Lucifer Effect: Understanding How Good People Turn Evil describes the radical transformations that took place among college students playing randomly assigned roles of prisoners and guards in a mock prison created at Stanford University. It goes on to establish direct parallels with the abuses committed by American soldiers at Iraq’s Abu Ghraib prison, presenting much of the social science research illustrating the power of social situations to dominate individual dispositions. This body of work challenges the traditional focus on the individual’s inner nature, dispositions, and personality traits as the primary – and often the sole – factors in understanding human failings. Instead, I argue that while most people are good most of the time, they can readily be led to act anti-socially, because most people are rarely solitary figures improvising soliloquies on the empty stage of life. On the contrary, people are often in an ensemble of different players, on a stage with various props, costumes, scripts, and stage directions from producers and directors. Together, they comprise situational features that can dramatically influence behavior. What individuas bring into any setting is important, but so are the situational forces that act on them, as well as the systemic forces that create and maintain situations. Most institutions that are invested in an individualistic orientation hold up the person as sinner, culpable, afflicted, insane, or irrational. Programs of change follow either a medical model of rehabilitation, therapy, reeducation, and treatment, or a punitive model of incarceration and execution. But all such programs are doomed to fail if the main causal agent is the situation or system, not the person. As a result, two kinds of paradigm shift are required. First, we need to adopt a public health model for prevention of violence, spouse abuse, bullying, prejudice, and more that identifies vectors of social disease to be inoculated against. Second, legal theory must reconsider the extent to which powerful situational and systemic factors should be taken into account in punishing individuals. Although much of The Lucifer Effect examines how easy it is for ordinary people to be seduced into engaging in evil deeds, or to be passively indifferent to the suffering of others, the deeper message is a positive one. 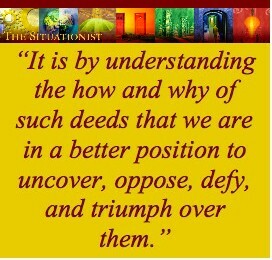 It is by understanding the how and why of such deeds that we are in a better position to uncover, oppose, defy, and triumph over them. By becoming more “evil smart,” we build up resistance to having our moral compass reset negatively. In this sense, The Lucifer Effect is a celebration of the human capacity to choose kindness over cruelty, caring over indifference, creativity over destructiveness, and heroism over villainy. At the end of my narrative, I invite readers to consider fundamental strategies of resisting and challenging unwanted social influences, and I introduce the notion of “the banality of heroism.” After all, most heroes are ordinary people who engage in extra-ordinary moral actions. With this in mind, I propose a situational perspective for heroism, just as I do for evil: the same situation that can inflame the hostile imagination and evil in some of us can inspire the heroic imagination in others. We must teach people, especially our children, to think of themselves as “heroes-in-waiting,” ready to take heroic action in a particular situation that may occur only once in their lifetime. For other Situationist posts discussing The Lucifer Effect, click here. To buy the paperback version of the book, click here. This entry was posted on January 23, 2008 at 12:01 am	and is filed under Book, Law, Legal Theory, Morality, Social Psychology. You can follow any responses to this entry through the RSS 2.0 feed. You can leave a response, or trackback from your own site.